Fondly called Pistol Tiger because of his short temper, TV personality Zach Roloff is a sufferer of dwarfism who became famous for portraying himself on the reality television show Little People Big World on TLC. He has appeared on the show with his family for almost a decade, from 2006 to 2015. Roloff has also made a couple of appearances on the Oprah Winfrey show which gave him some level of popularity among the viewing public. More so, 2011 saw him appear on the television show titled Good Enough which showed a basketball contest amongst the WWE wrestlers and the dwarfs. Know details of the biography, family life and net worth of the reality TV star who is easily spotted with his ever-present civil war cap which has become his trademark. Roloff was born in Helvetia, Oregon, the USA on the 10th of May 1990. His star sign is Taurus and his country of birth points to his American nationality. His father is Matt Roloff, a salesman with a software company, while his mother is named Amy Roloff. You don’t need to look far to know where the reality celeb’s dwarfism came from as both his parents suffer from the disease. 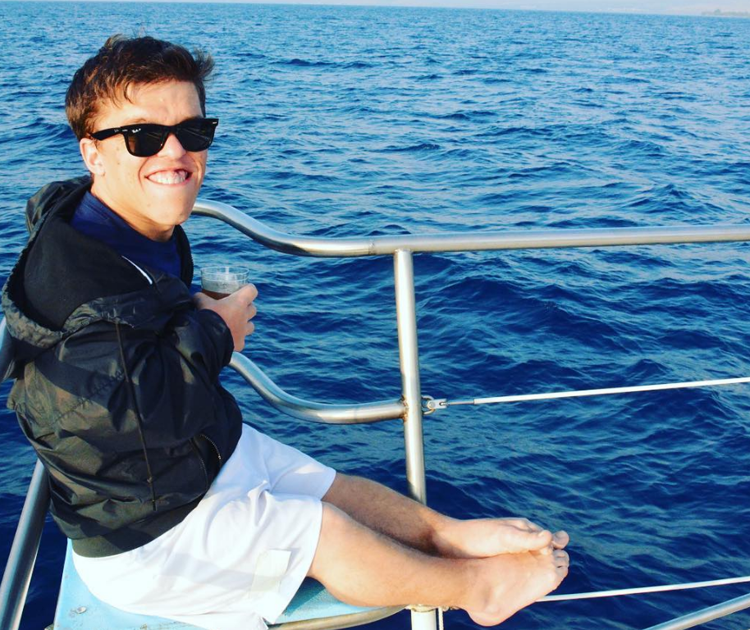 Zach Roloff’s medical condition is called achondroplasic – a condition that makes both his legs and arms disproportionate with his torso. A few years ago, he went under the knife for emergency surgery in a bid restore a faulty shunt which resulted in severe headaches as well as vomiting. Other members of his family include; a twin brother named Jeremy Roloff, a second brother named Jacob Roloff and a sister named Molly Roloff. He still has his grandparents, Ron Roloff, and Peggy Roloff. Zach Roloff’s twin and his sister did not inherit dwarfism as they are both of average height. Roloff spent his formative years on a 36-acre farmland where he frequently assisted his dad during the gala pumpkin season which is the mainstay of the Roloff family. Furthermore, the 4 feet 2 inches tall reality television star finished his high school education in 2009, though the name of his academic institutions has never been published. After high school, he took up Associate Studies for further education, but the details of his course of study and institution attended is not public knowledge. Zach Roloff popped the big question to his first love, girlfriend Tori Patton in 2014 in an open field. They dated for a short while before culminating their relationship in a marriage ceremony which took place on the 25th of July 2015. Their wedding was graced by over 200 guests, including Roloff’s parents who described it as the happiest day of their lives. His parents are no longer married, however, they were able to put away their differences to bless their son’s marriage as a couple. The love and affection that exudes from Zach Roloff and his wife are so palpable that despite her husband’s height challenges, Tori doesn’t seem to care about people’s comment, especially as they always seem to be comparing her height to Zach’s. According to her, beauty comes from within and has nothing to do with your outward appearance. She went further to say that her love for her spouse is not a function of his looks but it is from the things that weigh on his heart. The couple lives in marital bliss which became glaring through some Instagram posts by Tori, featuring some touching photos with her spouse along with an emotional title in January 2017. Moreso, her husband’s fans were really overjoyed when they got to know that Tori was already expecting her first child. Notably, throughout the duration of her pregnancy, Zach Roloff is said to have played the role of a caring husband till the birth of their son, Jackson Roloff, who came into the world on the 12th of May 2017, barely two years after their nuptials. Sources also have it that baby Jackson made his entrance at 8.00 am on the dot weighing 9lbs; he was 1oz and 20.5 inches in length. Although his career does not come with so many work credits, Zach Roloff still receives a decent amount of money as income. His annual salary is said to be around $100,000 while his actual net worth is pegged at $300,000 or $0.3 million.